Track and Field News lists former Montgomery runner Kim Conley’s recent mile of 4:27.23 as the fastest women’s mile in the world this year. See world leaders here. Last spring Sonoma County put on a mile race, once again, to attempt to have someone break the magic 4 minute mile barrier. They came up short again so the Sonoma County record remains at the 4:00.4 by Jaime Harris of the Fresno State Track Club at Santa Rosa JC on May 7th 1994. But as former Ukiah High coach and Fort Bragg High star runner Jerry Drew let me know it has been done in Mendocino County. 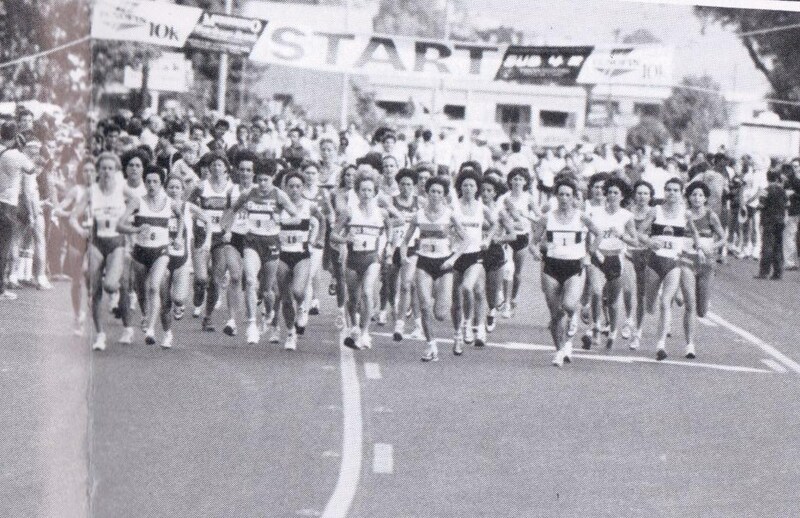 Back in the 80’s the Association of Road Racing Athletes (ARRA) had a circuit of races around the United States. I believe it is now called the USA Running Circuit. 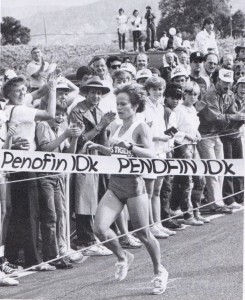 With the help of John Mayginnes of Penofin and the Savings Bank of Mendocino County, Ukiah was able to host the 1985 US National TAC 10K Championships, called the Penofin 10k, as part of that circuit. 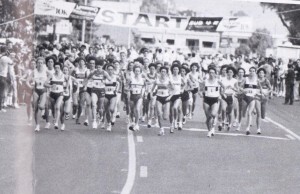 Runner’s World magazine ranked that race as the 10th biggest prize money running race in the world for 1985. Around $35,000 were awarded. The featured race, the men’s 10k, was won by Gidamis Shahangs of Tanzania in 28:30. With USA’s Steve McCormack (28:31) and Ed Eyestone (28:32) next. Petaluma High running great and current Sonoma Academy coach Dan Aldridge finished the race in 29:54. 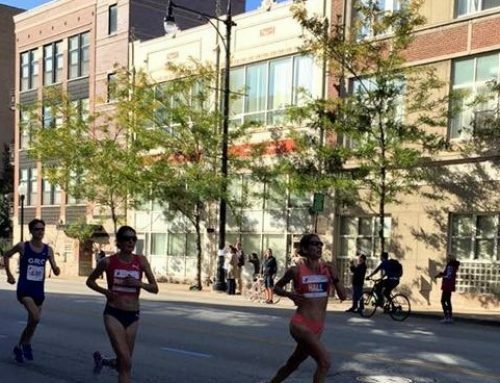 The women’s race was won in a new California 10k record by Canada’s Olympian Lynn Williams in 32:21. Williams was the 1984 Olympic bronze medalist at 3000 meters. Williams breaks the American record by Barbie Lopez. This all took place on October 6th 1985. The day before was a special One Mile race. With prize money of $10,000 for the winner this race attracted many of the top milers in the world. The race was won by Great Britian’s Olympic gold medalist Steve Ovett, who led an amazing six runners under the 4 minute barrier winning in 3:55.13. 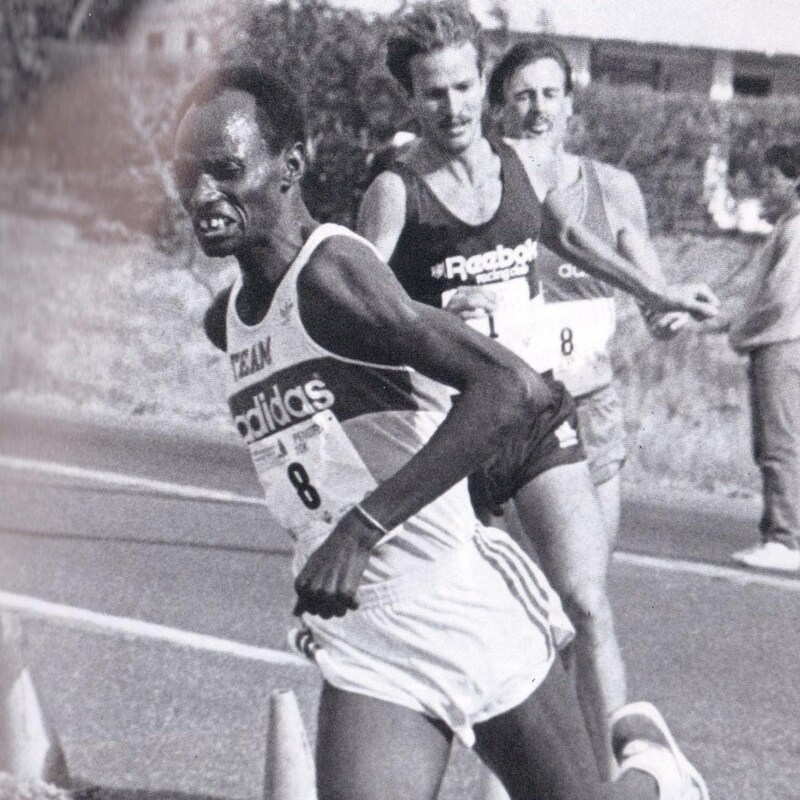 Ovett was 63rd the next day in the 10k at 32:15. Steve Ovett from Great Britain was the gold medalist in the 800 metres at the 1980 Olympic Games in Moscow, and set world records for 1500 metres and the mile run. To this day, he holds the United Kingdom record for 2 miles, which he set in 1978. Frank O’Meara from Ireland had his greatest success running indoors at 3000m. He was the world champion in both 1987 and 1991. Ross Donoghue of the US ran the mile under 4 minutes 8 times. 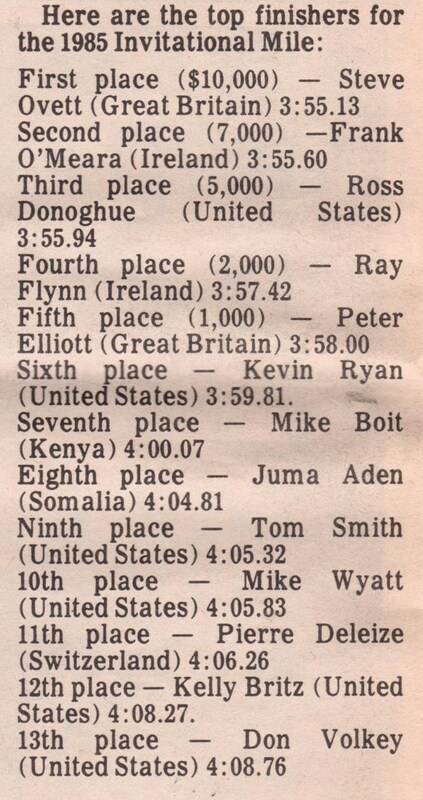 Ray Flynn from Ireland ran 89 sub-four minute miles, with his best time (and the current Irish mile record) of 3:49.77 in 1982. 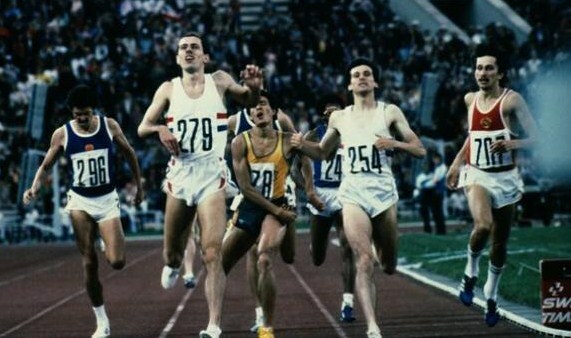 Peter Elliott from Great Britain won silver medal in the 1500m at the 1988 Olympic Games in Seoul. He also finished fourth in the Olympic 800m final that year. Kevin Ryan of the US was an All-American runner out of Bowling Green. Mike Boit of Kenya was bronze medalist in the 800 metres at the 1972 Olympic in Munich. The best I can tell the following year did not have a mile race but the 10k was a barn blazer. Canadian Paul McCloy set a national road race record winning in 27:47.09. Mexico’s Gerardo Alcala just behind at 27:47.86. Eugene’s Dirk Lakeman tied the American age group record set by Mark Nenow at 27:48.21. In fourth was Massachusetts’ Bruce Bickord who ran 27:48.48 to break Paul Cummings American age group record of 28:22. Former NCS star Jay Marden placed 20th at 28:43 with Aldridge taking 30 seconds off his 1985 time to take 34th at 29:24. In 41st was Great Britians Mike Hurd who broke the Masters World Record finishing in 29:39. 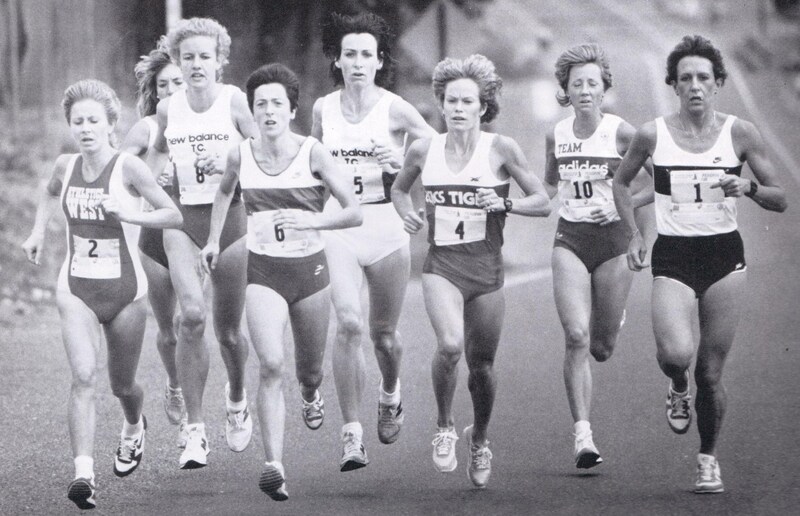 In the women’s field Texas’ Brenda Webb broke the American road record for 10k winning in 31:37.83. 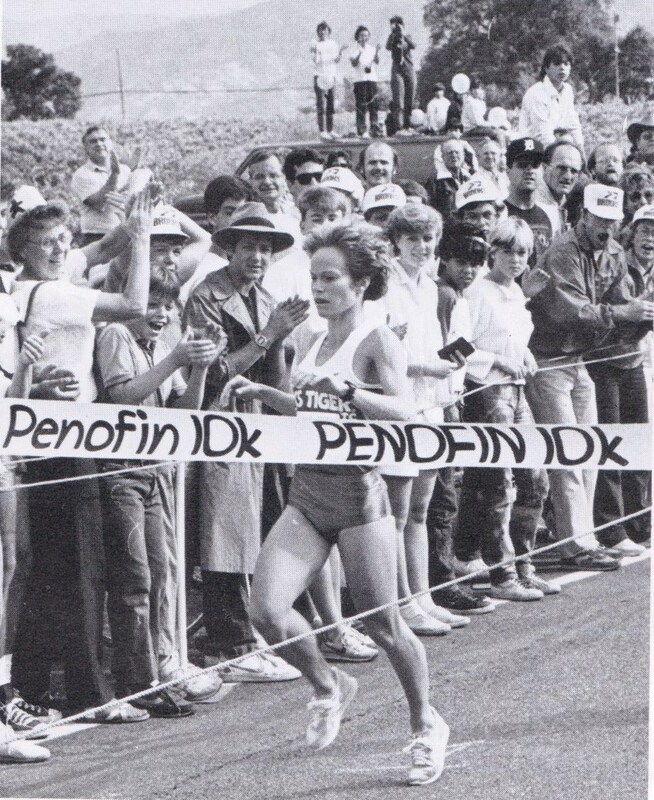 Webb was followed by Lisa Martin who broke the Australian road record in 31:46. 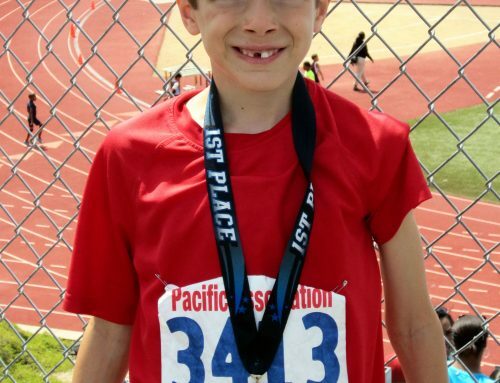 Finishing back at 191st, but winning the under 13 division, was Santa Rosa’s Nika Horn in 40:01. 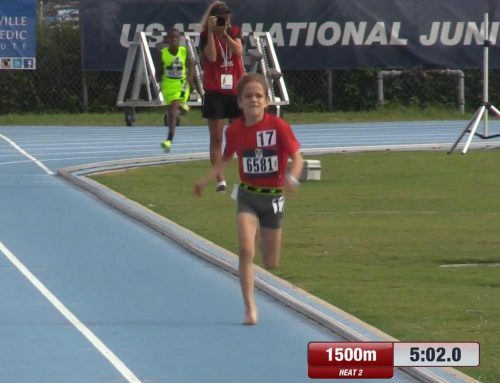 Nika is the same girl who now has her own 12 year old Rylee Bowen beating all the other runners her age.